The Edmonton Valley Zoo is home to two new little bundles of cuddly joy after the zoo’s resident red pandas had twins. And now, the zoo wants your help to name the cubs. 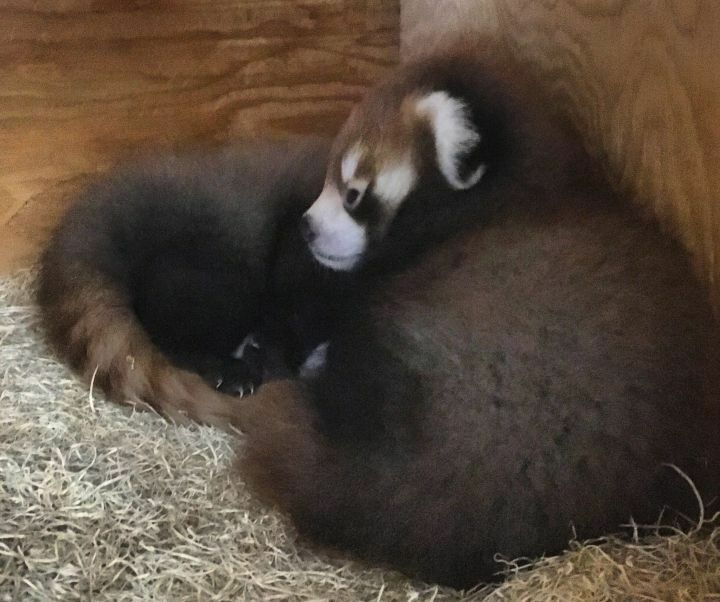 The zoo’s resident red pandas, Pip and Kalden, had two baby girls on July 23. The public is being asked to choose from three sets of names for the twins: Penny and Maple, Cini and Masala and Pepper and Paprika. In order to vote, the zoo is asking people to make a donation to the Red Panda Network, a non-profit organization dedicated to saving the panda’s habitat. Donations can be dropped off at voting stations at the Edmonton Valley Zoo or in the Zootique, located just inside the main entrance. The names with the most donations will be chosen for the babies. Kalden, who was born in the Northeastern Wisconsin Zoo, arrived at the Edmonton Valley Zoo in July 2013. He was introduced to his mate Pip a few weeks later. Watch below: Kalden and Pip interact at the zoo in September 2013. The Edmonton Valley Zoo has taken up the cause to protect and conserve the endangered species in their native habitat.